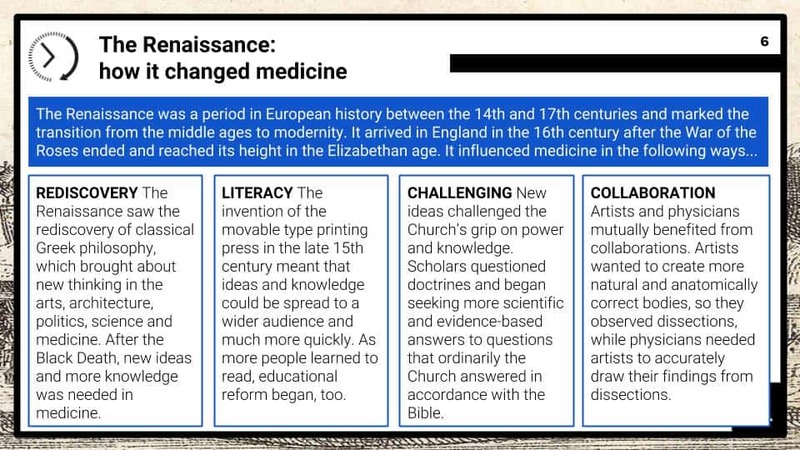 This Thematic Study module covers option AA of the AQA 9-1 GCSE History topic "Britain: Health and the people: c1000 to the present day". 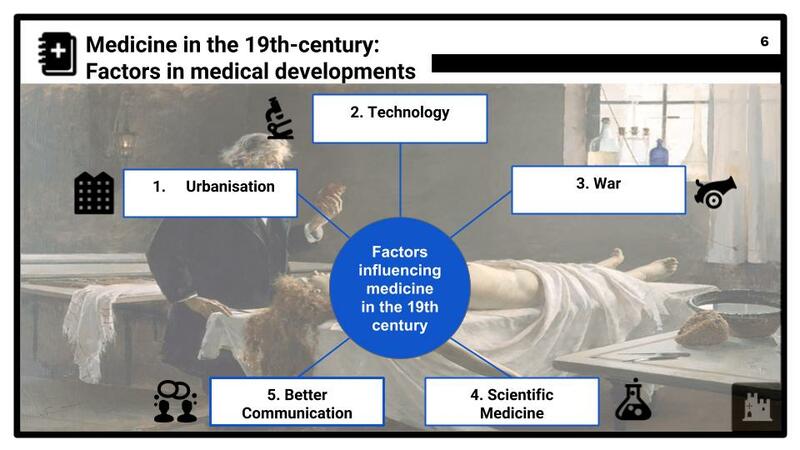 In this thematic study, students will gain a detailed understanding of how medicine and public health evolved in Britain over the course of centuries to get a broad picture of causes, scale, nature and consequences of short- and long-term developments and their impact on British society. 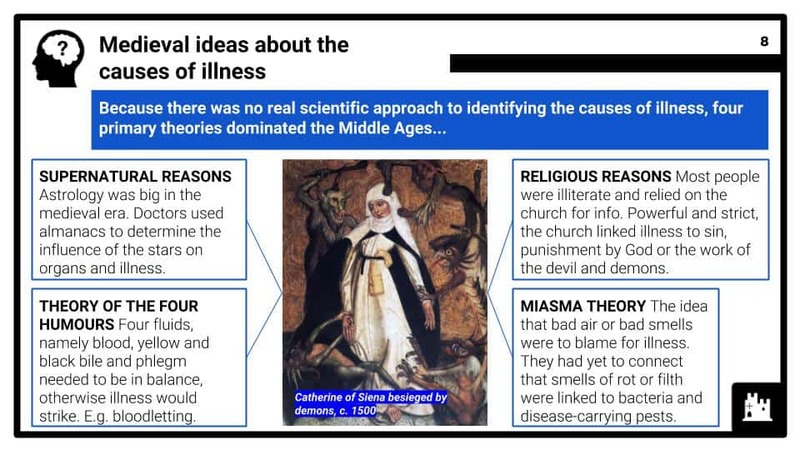 While the study focuses primarily on developments in Britain, wider developments from around the world are also drawn upon for historical context and to provide examples of how they affected Britain. 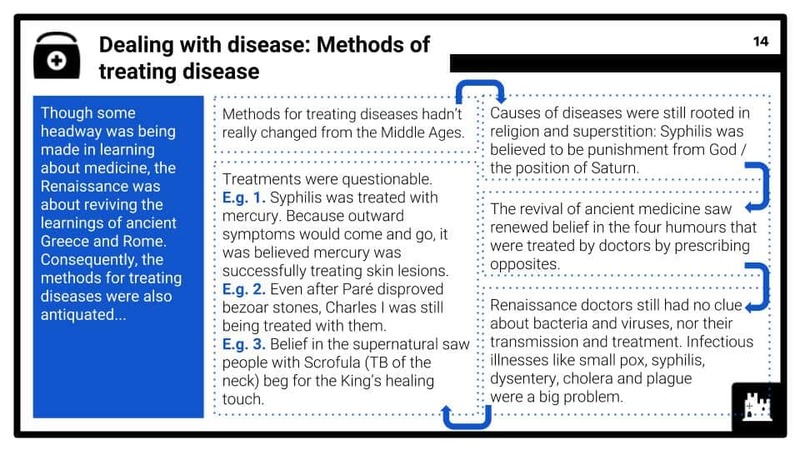 Galenic methods and treatments; the medieval doctor; training, beliefs about the cause of illness.